This week Your Advocate is Barrister Tanjib-ul Alam Advocate, Supreme Court of Bangladesh. He is the head of the chamber of a renowned law firm, namely, 'Tanjib-ul Alam and Associates ',which has expertise mainly in commercial law, corporate law, admiralty, employment and labor law, land law, banking law, constitutional law, telecom law, energy law, Alternative Dispute Resolution, Intellectual Property Rights and in conducting litigations before courts of different hierarchies. We often hear about power of attorney. But i am in dark about this concept. Could you please clarify me who can grant/issue a power of attorney for whom and also the contents of it? The dictionary meaning of "power of attorney" is "the authority to act for another person in specified or all legal or financial matters." 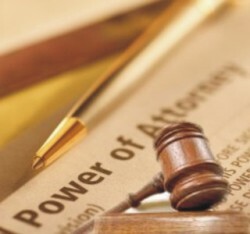 Power of attorney is a legal document in pursuance of which a person appoints another person to carry out certain specified acts and conducts on behalf of the executant of the power of attorney. We come across this document most often in case of transfer of property, corporate transaction where a company appoints one of its directors as a constituted attorney to carry out a particular or range of transactions on behalf of the company. Another commercial activity where power of attorney is essential is banking transaction. Almost every borrowing facility from banks and financial institutes entail execution of a power of attorney as part of the security package. This kind of power of attorneies are invariably irrevocable and general in nature. A power of attorney can be general or special. A general power of attorney provides range of authorities which an executant allows the donee of the power (often described as "constituted attorney") to carry on behalf of the owner. For example an owner of land may appoint a person as his constituted attorney by executing a power of attorney allowing him to deal with the property in certain manner, including selling the property or mortgaging it. On the other hand a special power of attorney restricts the constituted attorney only to carry out certain specified activities. Authorising a person to file a suit on behalf of another person is an example of special power of attorney. Once a power of attorney is executed, the owner is no longer able to deal with the property without first revoking the power of attorney. From the perspective of revocation of power, a power of attorney can be either revocable or irrevocable. The power of attorney usually describes whether it is revocable or not. In the absence of any specific language whether it is revocable or irrevocable, presumption is that it is revocable. However, there are certain types of power of attorney which are always irrevocable for example, a power of attorney coupled with interest is always irrevocable such as a power of attorney executed along with deed of mortgage in favour of lending bank. Power of attorney is automatically revoked at the death of the executant. However, even after the death of an executant, a power of attorney may bind the successors if the it was executed for consideration. Power of attorney is always interpreted strictly, therefore, unless a certain conduct is specifically empowered by express wording, it will not be construed by implication. For example if a power of attorney contains power for sale of the property but does not provide for creating charges over the same property, such power will not be construed to have been granted by implication of the sale power albeit the sale power is the ultimate power in respect of a property.